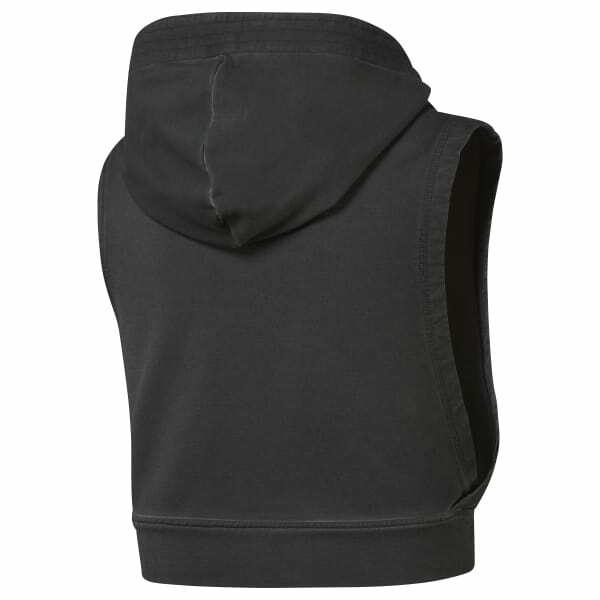 Keep your core warm without sacrificing upper body mobility in this sleeveless women’s hoodie. Throw up the oversized hood for cosy comfort while you lay in to your workout. Your shoulders will love the extra freedom of movement from the dropped arm holes. The dirty oil wash look keeps style forward.